World Baseball Classic expanding: And Ireland has beaten some of the competition! The World Baseball Classic of 2013 will be just that little bit more colorful. It will also include, for the first time, International teams that the Irish National baseball team has played (and indeed beaten!). 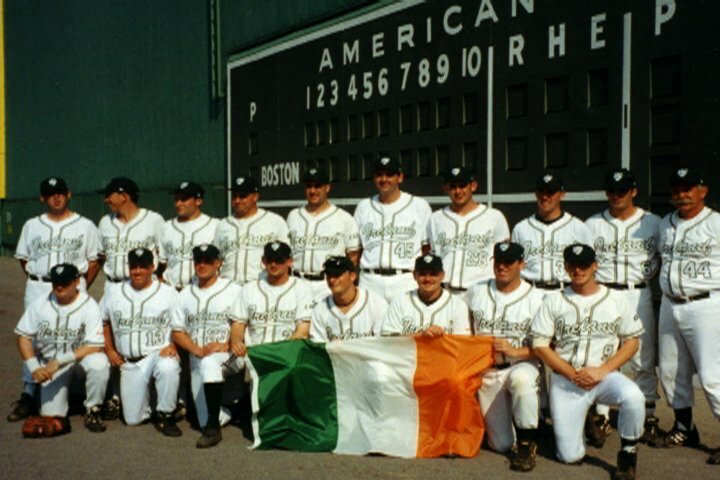 Yes, in case you didn’t know already, Ireland does have an International baseball team, and it has participated admirably in European competitions since 1996. Ireland came fourth in the European Pool B Championships in Germany in 2004 and then came second in the European Pool B Championships held in Belgium in 2008. As we speak, a youthful, energetic and skillful Irish baseball team is gearing up to take part in the Pool B Championships in Barcelona this July. More on ‘Team Green’s’ exploits later. Back to the World Baseball Classic(WBC). The 2013 tournament will be expanded by four teams. These will come from a pool of 16 first time teams that will play out a qualification tournament in 2012. This will consist of four groups of four teams with the winner of each ultimately being ‘promoted’ to the WBC proper. In terms of the makeup of the 2012 Qualification series, Canada, Chinese Taipei, Panama and South Africa have been effectively relegated to this new playoff group, after not winning a single game amongst them in the 2009 WBC. The brand new teams include European sides France, Spain, Germany, the Czech Republic and Great Britain. This will lead to an extremely exciting two year spell for the lucky teams that win each playoff grouping. The following year they will take part in the 2013 WBC proper against the likes of USA, Japan and Cuba. 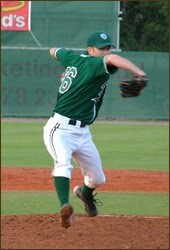 Back to the Irish baseball team. Seeing the Czech Republic and in particular Great Britain gain entry to the preliminary round is very interesting for all involved in Baseball Ireland. The Czech Republic is a very solid baseball team, and has been so for years. They were actually Ireland’s first ever International opponents back in 1996, and beat us soundly. There is no shame in that as the Czech’s have been dominant in general European competition all that time. Fascinatingly, the only time Ireland has faced neighbours Great Britain, they came out on top. In 2006, as a warm-up for the successful Belgian European venture, Ireland played a two day, three game series against Great Britain. Ireland won two out of three to take the series, and their only loss was a one run thriller where Great Britain came back to win it late on. Ireland not only competed with their bigger, more illustrious neighbours on their home turf (London), they actually beat them twice. Putting one and one together, you have to think Ireland should be in the considerations of further preliminary round expansions? Perhaps with continued development on the home front, Irish baseball can someday be in the running to take part in the WBC. In the meantime, it’s kind of enjoyable to know that Ireland knows via its previous results with England, and previous successful European tournaments, it definitely belongs on the same playing field as some of those teams now playing for spots in the WBC.